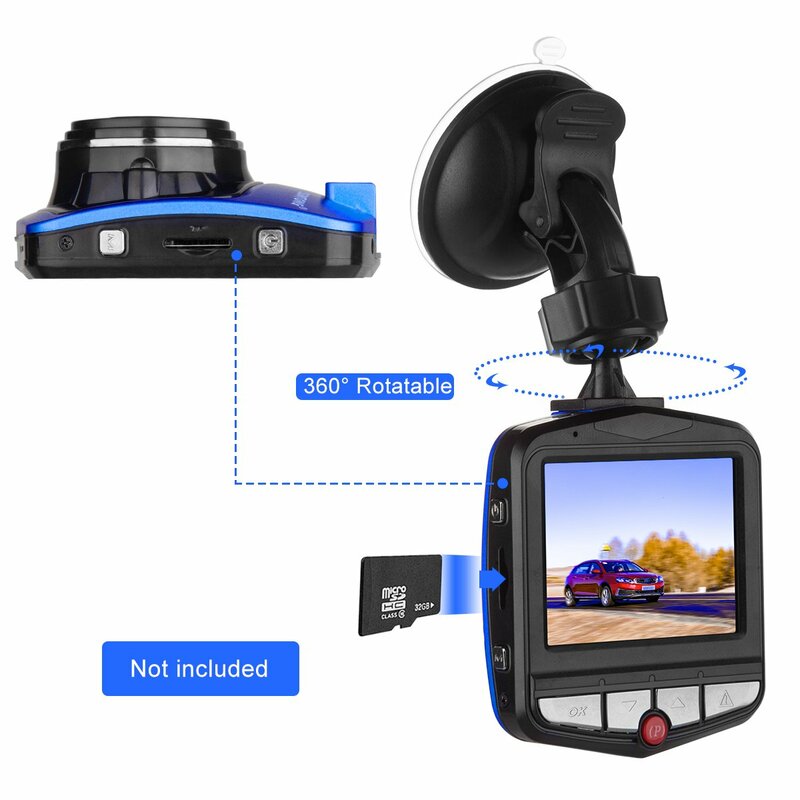 HD DVR Dash Camera With Night Vision records both audio and video. Works Great At Night. Great For Road Trips! Included USB Car Charger. 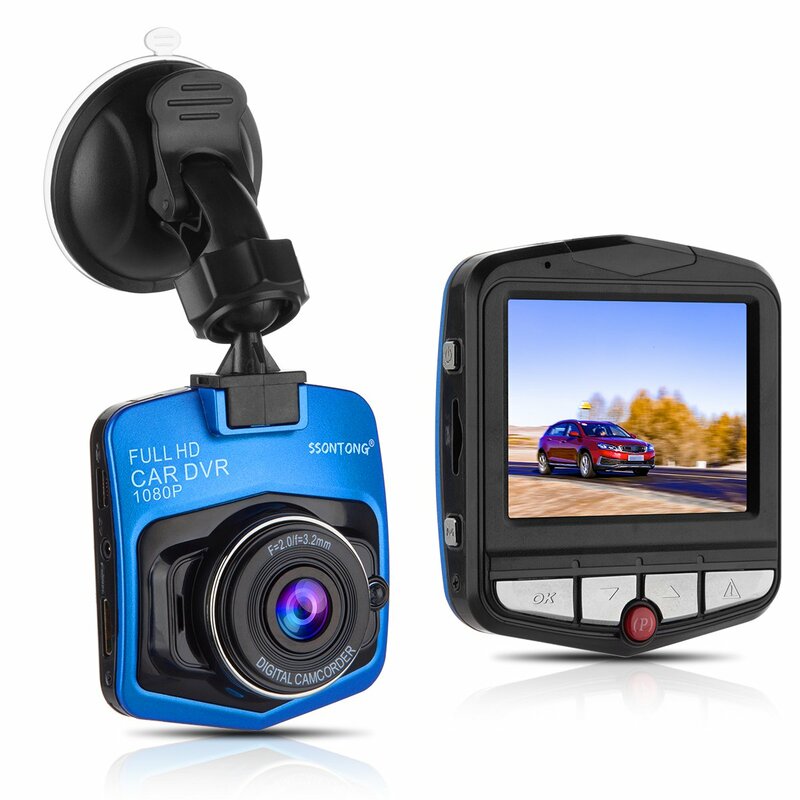 140 degrees A+ grade High resolution, Full HD 1920*1080P video recording, captures details on road and guards your safe drive. Loop recording, automatic seamless video recording with the earliest unlocked video clips being overwritten by latest one when card gets full. Supports micro SD card with class10 speed or above, max. 32GB (Not included). Easy to install and use. Plug & Record. Dash cam will automatically turned on and start recording when the engine starts, and automatically stop recording and turned off shortly after the engine is off. Built-in G-sensor, capable of saving and locking the video recording data automatically in case of collisions; Pressing lock button can manually lock current recording video from being overwritten; Motion detection, any movement within the view range would trigger DVR to start recoding automatically when dash cam is on; Parking monitor provides 24/7 surveillance of your vehicle. All cameras are fully tested before delivery. With professional technical support+ always satisfied customer service. HD Security Dash Cam Captures It All! Buying items online can be a daunting task, so we want you to realize that there is absolute ZERO risk in buying something and trying it out. If you don't like it, no hard feelings we'll make it right. We have 24/7/365 Ticket, Email Support . Please contact us if you need assistance. All transactions are secure and encrypted by the SSL Protocol, so you do not take any risk to make a purchase on our site. Fast delivery, Courier brought home, will try. Quality very good, delivery only 2 weeks to Lithuania. Recomend this seller. but not tested as shipping super fast.